StoryTiles are artistic miniature stories on unique old Dutch tiles. Nice to combine with all the other storytiles. 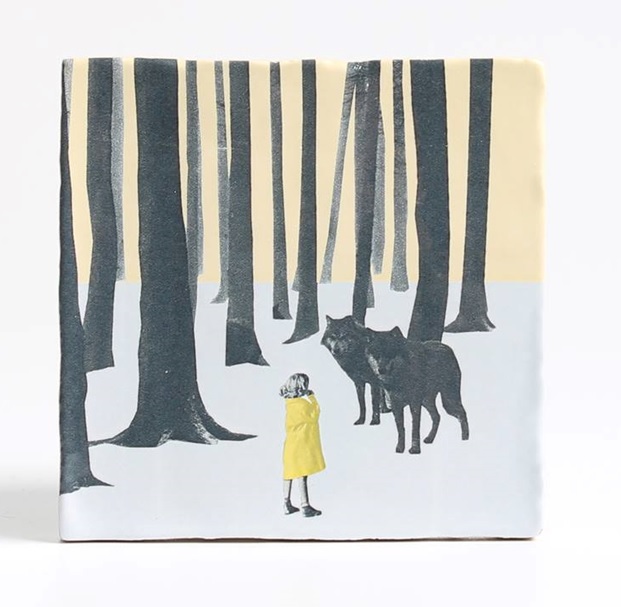 Each tile is made with love, attention to detail and humor designed and baked on a traditional way. They are fitted with a hook. 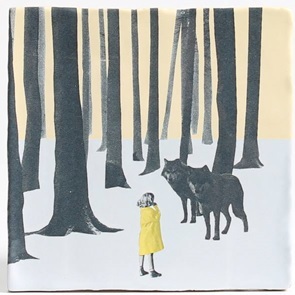 Wolf Girl is a beautiful tile. Size 10 x 10 cm. Usually ships in 5 to 8 business days.